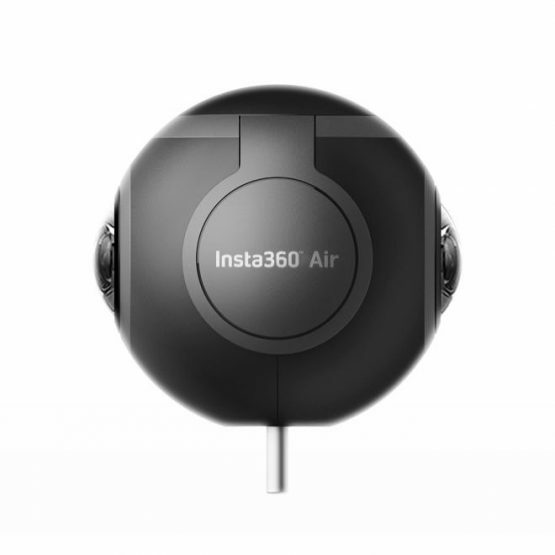 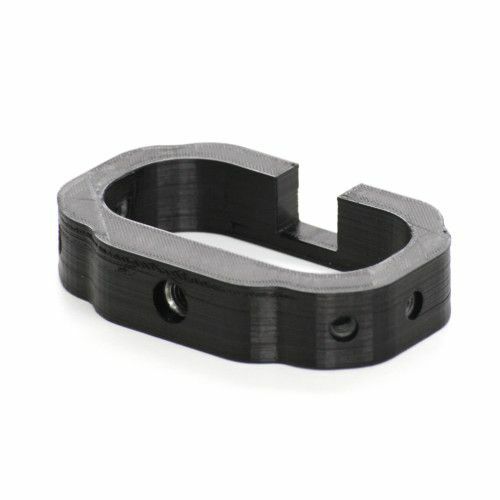 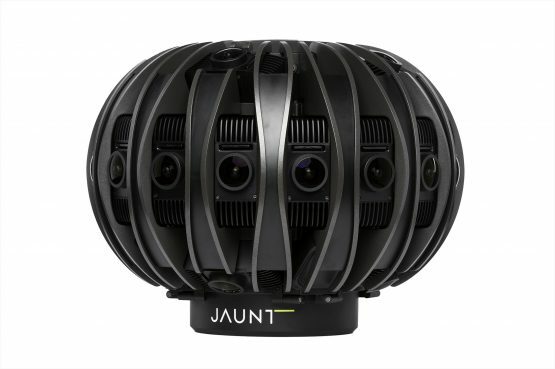 No more complex multi-camera rigs: this is the first Virtual Reality device to capture 360° spherical & 3D video and 360×360 surround sound, with the elegant workflow professionals need. 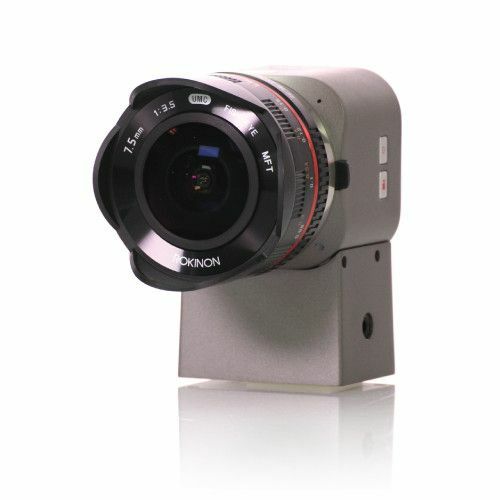 Financing available, please call for details. 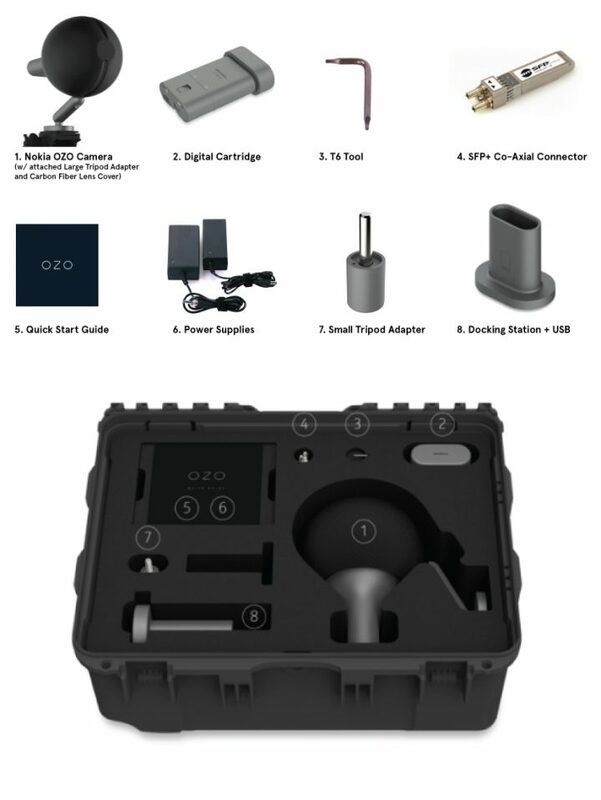 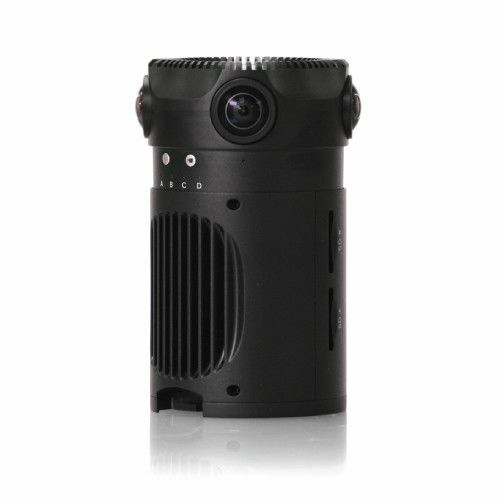 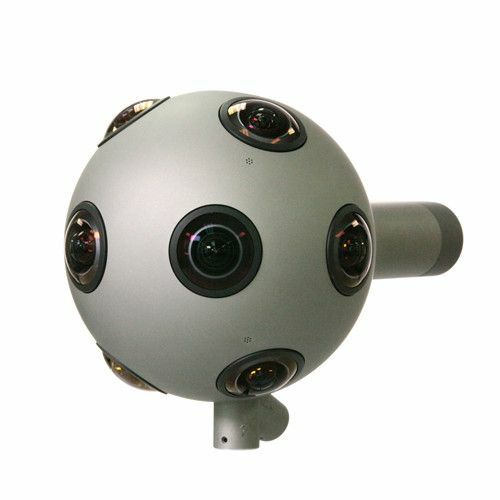 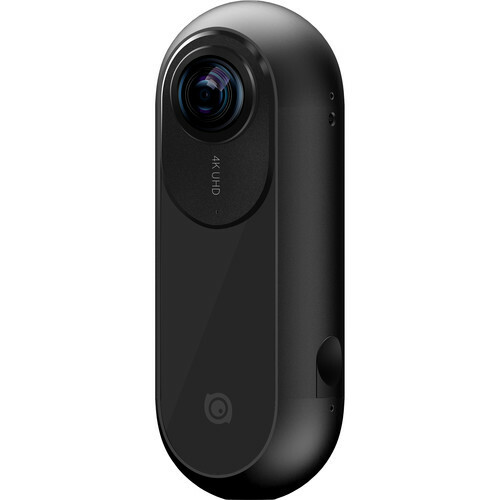 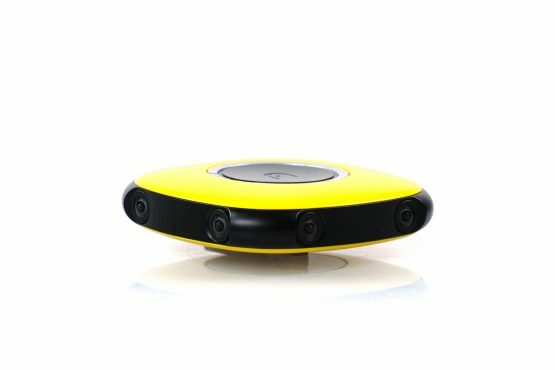 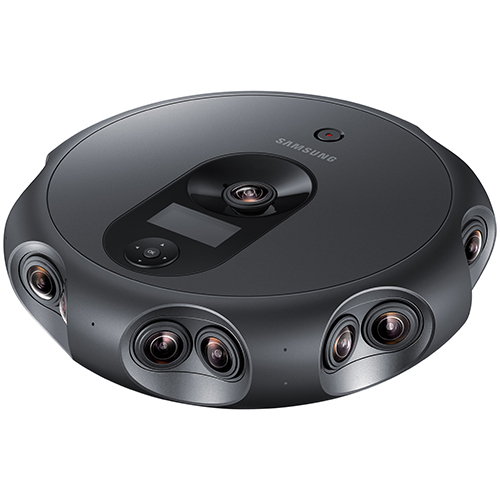 The OZO camera is a 3D, 360-degree virtual reality camera that consists of eight 2048 x 2048 (2K x 2K) sensors, By design, the camera captures stereoscopic 3D imagery through approximately 260 degrees (+/- 130 degrees from center) oriented to the camera front and sides, with the balance of the 360-degree field of view captured with monoscopic (2D) imagery. 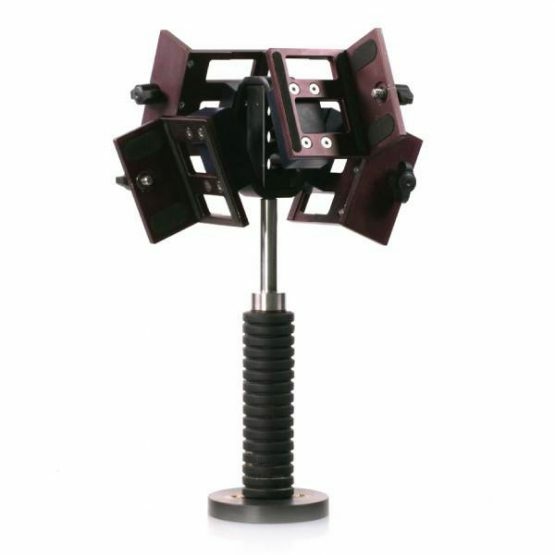 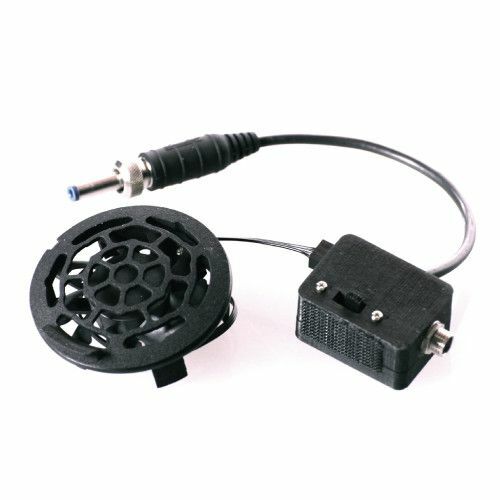 There are additionally eight microphones spaced around the camera body for recording spatial audio, The camera records both picture and sound either to its own internal 500GB Digital Cartridge, or to an external Blackmagic HyperDeck Studio Pro 2 or Blackmagic HyperDeck Shuttle recorder via a 1.5Gbps HD-SDI cable.